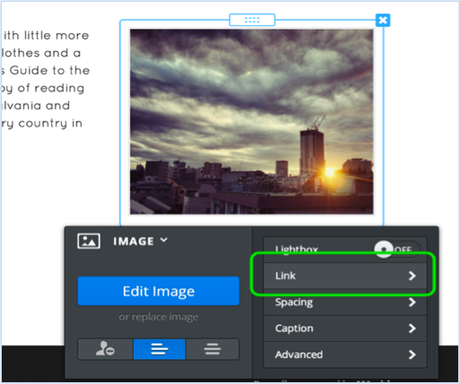 To create a picture link, first click the image you want to use for the link. This will open the link dialog box, where you can select the kind of link you'd like to create. You can link to a page on another site. You can even choose to have the link open in a new window (so that the visitor is not redirected from your own site when they click it) by checking the provided box. You can link to another page on your own site. Just select the page you want from the drop-down menu. 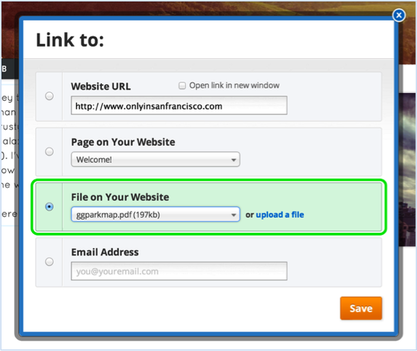 You can link to a file so it can be downloaded. 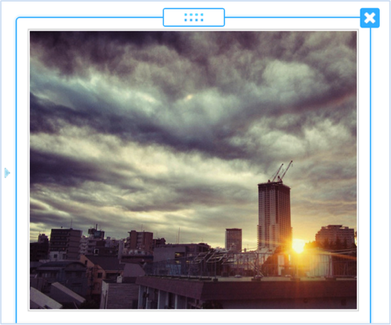 You can select a file from the drop-down menu or upload a new one. 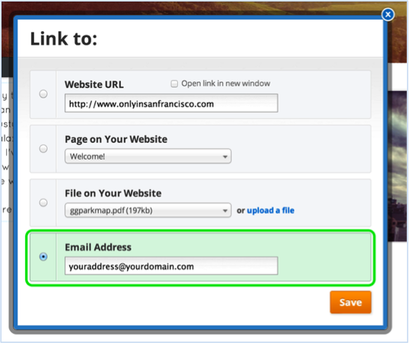 You can link to an email address. This will cause the visitor's mail program (like Outlook or Apple Mail) to open so they can write you directly. Note that if the visitor is not using one of these programs, the link won't work and they'll just need to copy your address or use a Contact Form if you have one on the site. When you've selected the link you want, Save and you're all set. Just keep in mind that the link won't do anything in the editor; it will only work on the Published site.